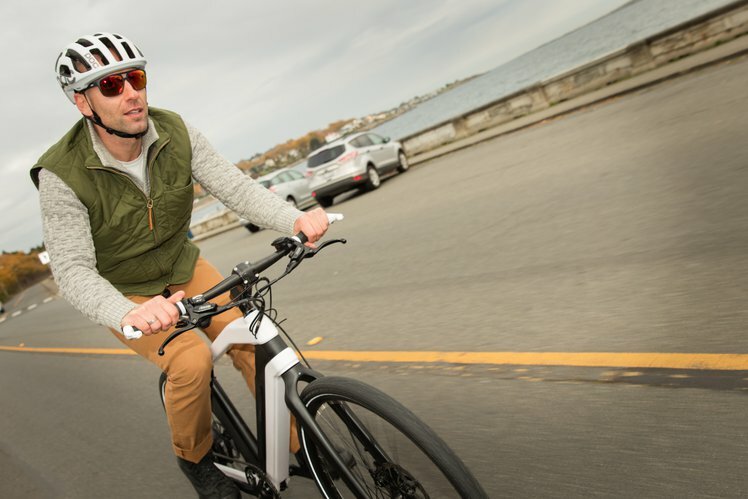 Diavelo is marketing its Zeitgeist as the first electric bike “you would actually want to be seen riding.” The 2016 model has a sleek, lightweight frame and an integrated battery you can barely see. The 48V high-density lithium-ion battery — similar to the ones Tesla uses — that takes four hours to charge and is built into the frame, a handlebar-mounted wireless controller, a 500-watt rear motor with a Shimano Deore XT-9 drive train, a torque sensor at the cranks that help supply any needed electric power (with a Bluetooth wireless controller on the handle to adjust the power across nine power levels) and monitor performance. 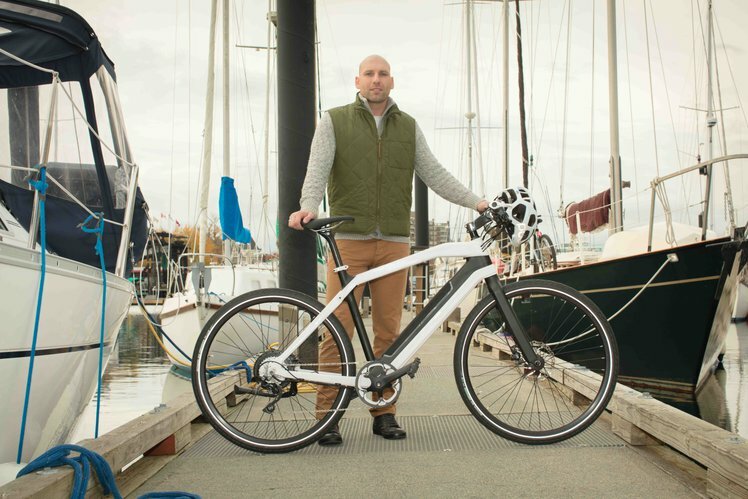 You’ll be able to stop power is thanks to Tektro’s Auriga E-Comp hydraulic disc brakes and levers as the Schwalbe road slicks on an Alex G6000 double-wall, 36-hole alloy 700c rims gives a nice, smooth Sunday morning ride.